Strategic Patenting is normally a practice when patent applications are prosecuted with the goal of improving a portfolio’s patent position in a defined technological area. That area may be relatively broad and require several patents around that sector, or the patents can be targeted on a specific product, service, or company. Whether the goal is to monetize these assets or gain patents for defensive purposes, Strategic Patenting should be a key piece of any larger IP strategy. TechPats has rich experience in Mining Available Patents in order to strengthen a patent position in an industry or a more precise technology area. TechPats has helped companies look to plug holes in their own portfolio, as well as aided the expansion of technological coverage. TechPats is ready to help identify your portfolio’s needs and create a custom plan to help you achieve your goals. When working with open patent applications, TechPats can prosecute patents and offer guidance on potential for infringement in the near future. Whether the patent family is acquired or home-grown, TechPats’ subject-matter experts can review specifications for unclaimed inventions that may map to similar claims. In order to maximize an initial invention disclosure, TechPats can advise on patent claims and prosecution for an application that is written with potential infringement in mind. 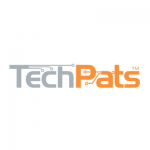 The patent professionals at TechPats are willing to draft patent applications for select inventors and inventions. The key to good patent claims is a solid initial patent disclosure. Despite the presumed “race to the patent office” in the “First Inventor to File” system, drafting a proper patent application is not an insignificant process and is certainly worth a suitable investment of time and resources. With our partners, TechPats can draft patent specifications, prosecute patents, and offer guidance for maximizing IP rights for your invention. Patent prosecution is the process of corresponding with the patent office in the effort to have a patent application granted as a patent. The complex journey requires procedural and substantive knowledge of the patent examination process and should be approached with a patent professional. Whether the patent applications are acquired or home-grown, TechPats’ patent professionals and subject-matter experts can advise on patent claims and patent application prosecution with the goal of demonstrating potential infringement in the near future. For select partners, in select technologies, TechPats may be able to collaborate with inventors and companies and advise on issues related to research and development. Whether the goal is to solve a specific problem, implement an innovation with a product or service, or just brainstorm ideas around an area of need, the TechPats team loves a challenge.